Whether it was the Native American Indian tribes, pioneers, railroad laborers or meat packers, everyone who came to call Omaha home helped shape its current cultural diversity, hard work ethic and friendly demeanor.  Named after an American Indian Tribe, Omaha means "Those going against the wind or current", Omahans proudly continue to live up to the name. In recent years, the Omaha riverfront and downtown area have experienced tremendous growth with over two billion dollars in new development. A one-of-a-kind $22 million pedestrian bridge S-curves its way across the Missouri River, the signature, cable-stayed Bob Kerrey Bridge is one of the longest pedestrian bridge projects ever constructed, giving Omaha visitors a breathtaking view of the ever changing skyline. CenturyLink Center Omaha, the city's convention center, and arena, attracts big name talent while providing a spacious technology-rich venue for conventions. The 346,000 sq. ft. facility is complimented by the two-million-dollar public art project, "Illumina". The colorful display features more than 40 sculptures inspired by the 13th Century Carnival of Venice and was created by artist Matthew Placzek. It's just a small sample of the creative public art that sprinkles the city. Currently the 42nd largest city in the United States, the metropolitan area is home to over 900,000 people who welcome visitors with open arms and authentic Midwestern hospitality. Baxter Arena opened to the public in October 2015, the end product of a joint community/university partnership led by Heritage Services of Omaha which raised $90 million for its construction and additional infrastructure improvements. The arena is a vibrant community asset, serving as the home of University of Nebraska Omaha hockey, men’s and women’s basketball and volleyball as well as concerts, civic events, campus recreation, youth hockey, figure skating and curling. The building seats 7,500 with additional space for standing room. CHI Health Center Omaha (formally CenturyLink Center) spans 422 acres, which is approximately 100 city blocks. The facility opened in September 2003 and contains more than 1,100,000 square feet, including a 194,000 square foot exhibition hall, more than 63,000 square feet of meeting space and an 18,300 seat arena. The site includes approximately 4,500 parking spaces, including a 3-story, 500 stall parking garage attached to the arena portion of the facility. The facility is connected via skywalk to the 450 room Hilton Omaha. 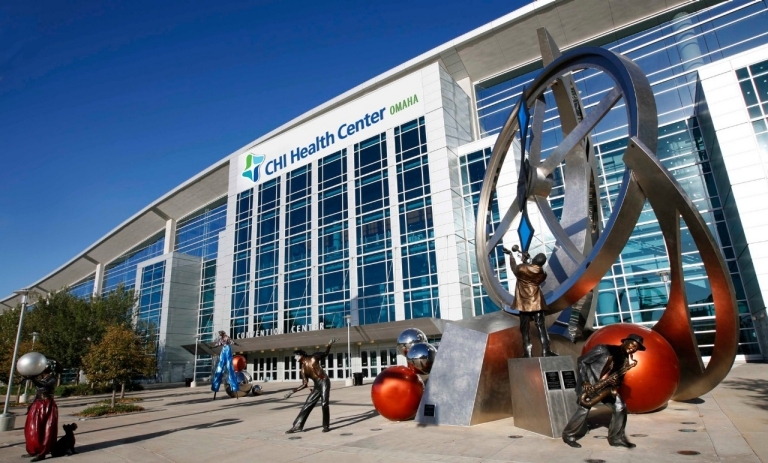 CHI Health Center Omaha is home to the Creighton University Men’s Basketball Team. TD Ameritrade Park Omaha opened its doors in spring of 2011. This $128 million dollar downtown stadium has seating for 24,000 fans, including 26 luxury suites and 1,000 club seats. The facility is home to the NCAA Men’s College World Series and the Creighton University Men’s Baseball Team. The new stadium also hosted the 1st annual Red Sky Music Festival in summer of 2011. Owned by the City of Ralston, the Ralston Arena is a state of the art facility located in Ralston, Nebraska. The venue opened in October 2012 and plays host to topnotch events in a first-class environment. The venue is a multi-faceted facility that is not only home to the USHL’s Omaha Lancers, the Summit League’s University of Nebraska Omaha Men’s Basketball, WFTDA’s Omaha Rollergirls, the CPIFL’s Omaha Beef, and LFL’s Omaha Heart, but it also sets the stage for a wide variety of concerts and events. 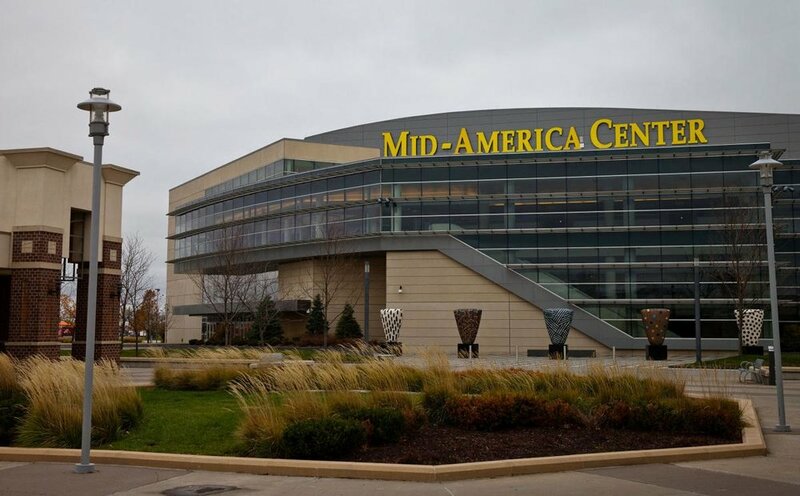 Mid-America Center is the Heartland's premier entertainment and convention center and was officially opened on October 18, 2002. This versatile facility is made up of over 150,000 square feet and includes a 30,000 square foot arena for a capacity of up 8,000 people, a 64,000 square foot convention center, and more than 20,000 square feet of meeting space. There is always free parking at the site. The facility has been home to concerts of Kenny Chesney, Journey, and Martina McBride as well as being host site for Harlem Globetrotters and Disney on Ice. The Capitol District, opened in 2017, occupies a key site for the future of Downtown Omaha, connecting the Old Market to the events district and linking the Riverfront to the downtown business district. The plaza contains 90,000 sq. feet of retail and restaurant space, 20,000 sq. feet of office use, and a direct connection to the 333 room, full-service Omaha Marriott Downtown. It’s the urban spot where fun-seekers can live, eat and drink in one community—all within walking distance of Omaha’s best civic, cultural and entertainment venues. The football field sized plaza also consists of a 60 ft stage, and an outdoor video screen making this a perfect intimate venue for personal sporting events. 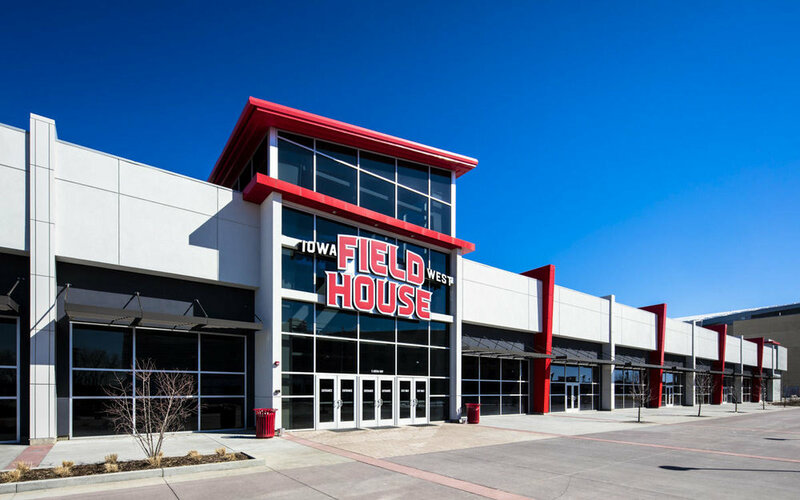 Located in Council Bluffs, the Iowa West Field House was opened in January 2017 and is operated by Omaha Sports Academy. Not far from the Mid-America Center the facility contains 8 basketball courts and 12 volleyball courts totaling just over 49,600 square feet of space. Rental services are available weekdays or weekends to match your event or game dates. The Council Bluffs Recreation Complex has been recognized as one of the finest recreation facilities in the Midwest for youth and adult teams. The facility offers 4 softball fields along with 4 baseball diamonds, and 2 Youth/Fastpitch fields. Other amenities include up to 14 full-sized soccer field, 4 full-sized football fields, 2 full-service concession stands with outdoor seating, and a conference room for hosting tournaments. With easy access to Interstate 29, Interstate 80, and Veteran's Memorial Highway the complex has just about everything to suit your outdoor sporting needs. Creighton University Athletics has various versatile athletic facilities in the downtown Omaha area. The 75,000 sq. foot Wayne and Eileen Ryan Athletic Center and D.J. Sokol Arena contains a 78’10” roof over the arena floor, 2,500 fans, multiple locker rooms, and a theater-style viewing area. Morrison Stadium is the finest on-campus soccer stadium in the nation with its all-weather turf field, a seating capacity of 7,500, video scoreboard, 2,000 covered chair-back seats, and banquet area. With many more sporting venues to offer, Creighton has the ability to suit all sporting needs. Werner Park is a unique outdoor venue which is home to the Omaha Storm Chasers, the Triple-A Affiliate of the Kansas City Royals. Built in 2011, the stadium has 6,434 seats, 15 Luxury Suites, 3 Hospitality Tents, an Indoor Bar, Boardroom Space, and total capacity of 9,023. 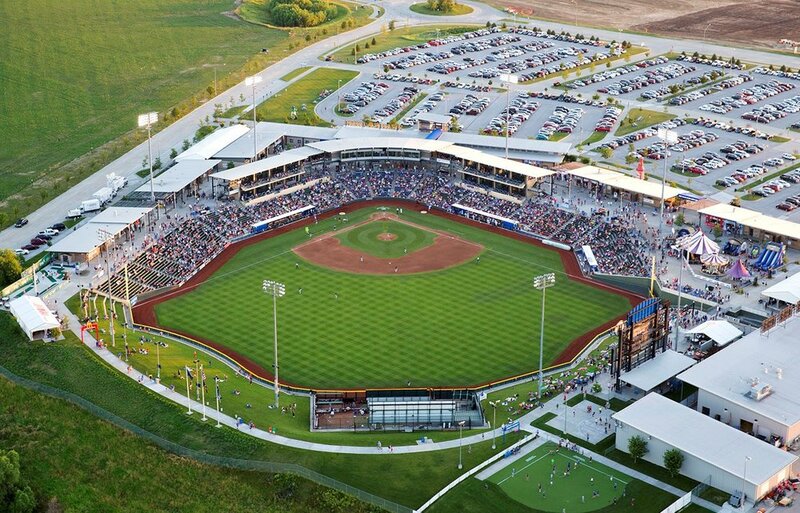 Sarpy County, NE owns the facility which is operated by the Omaha Storm Chasers Baseball Club. In addition to 70 Storm Chasers Baseball games, each year Werner Park provides a unique outdoor venue for corporate events, concerts, charity walks, and much more.